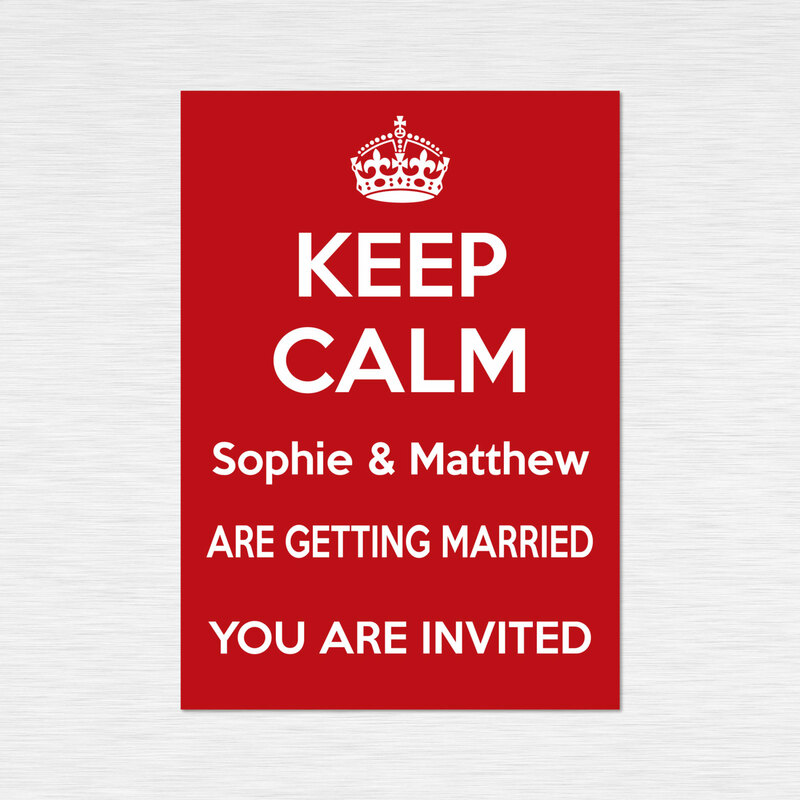 Contemporary but also seriously retro at the same time our 'Keep Calm' collection is based on the style and fonts that were used in the original WW2 posters designed by Gill and Johnston in a wartime drawing office in 1939. Each card is printed on our handmade coloured 255 g/m2 card for the single print colour option or our 300 g/m2 white card for the full colour options. 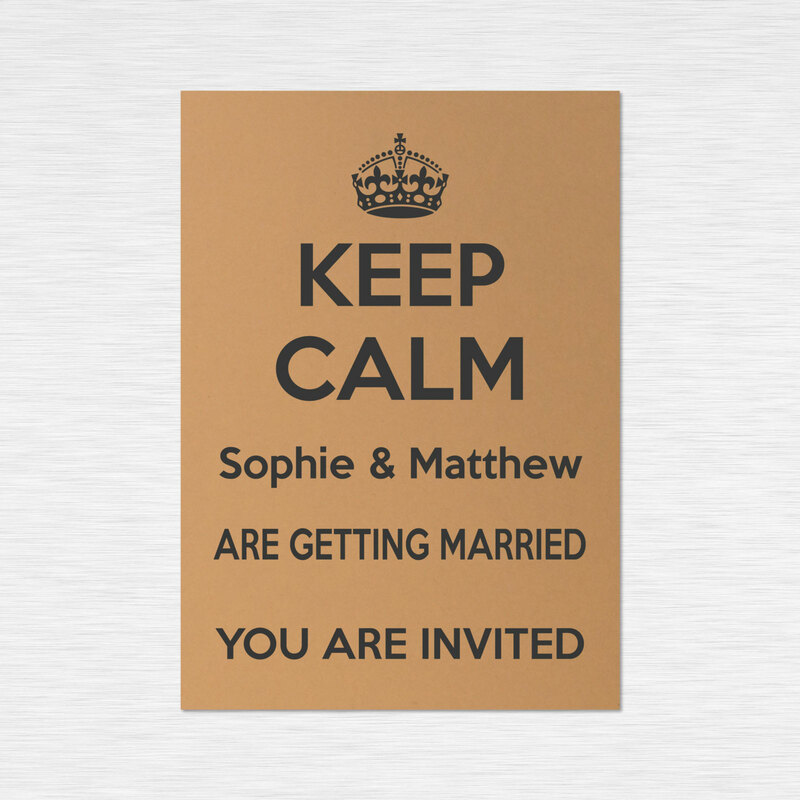 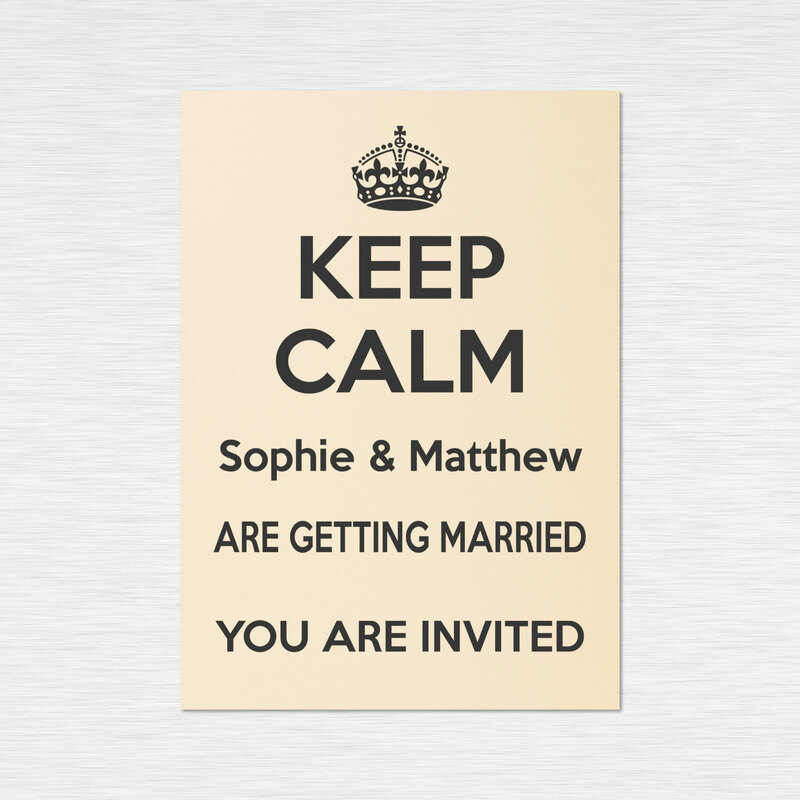 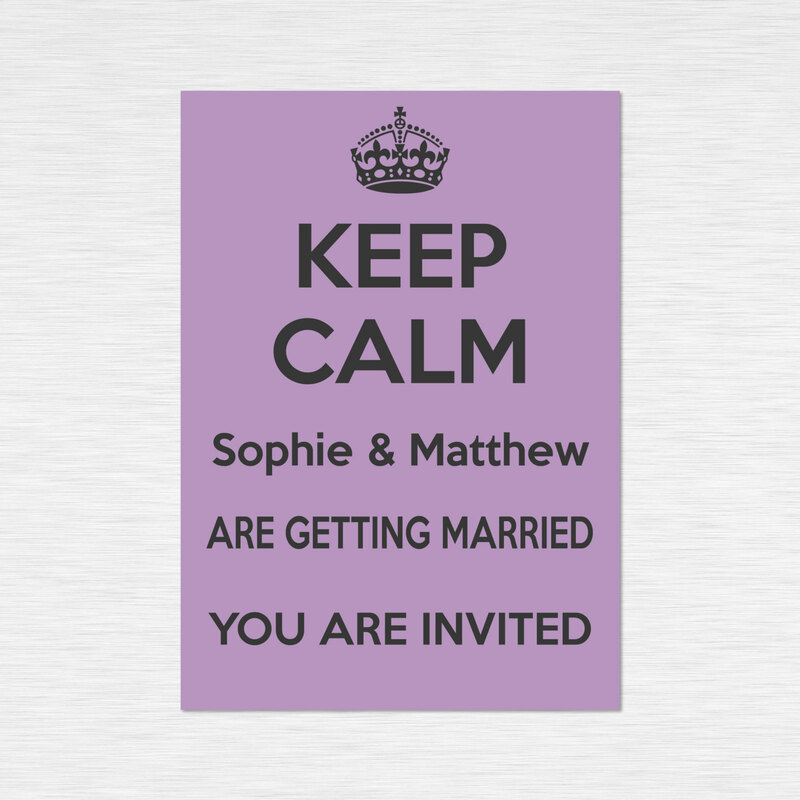 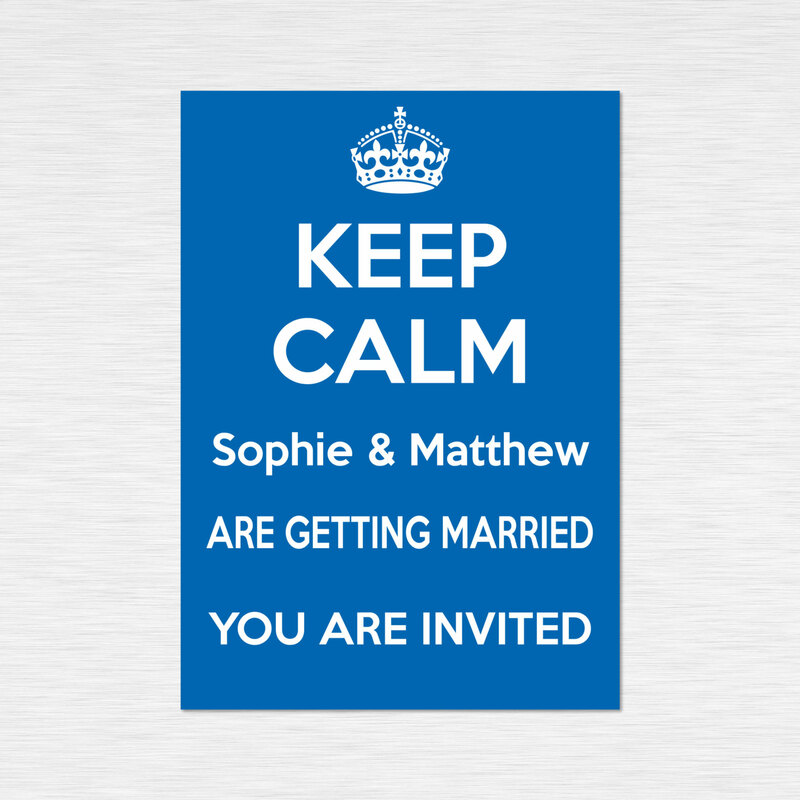 All our invitations are supplied with a good quality White, Ivory or ribbed brown Kraft envelope, depending on your choice of colour and finish and 'Keep Clam' includes a full range of co-ordinated wedding stationery for you to choose from.